The flag of Guernsey was adopted in 1985 and consists of the red St George’s Cross with an additional gold Norman cross within it. 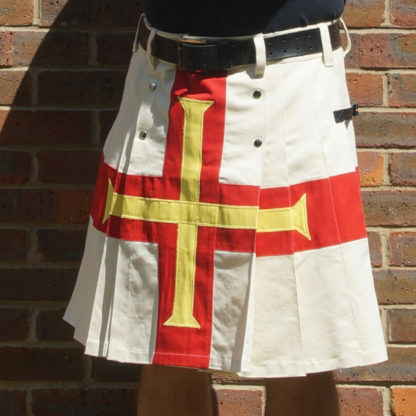 The creation was prompted by confusion at international sporting events over competitors from Guernsey and England using the same flag. 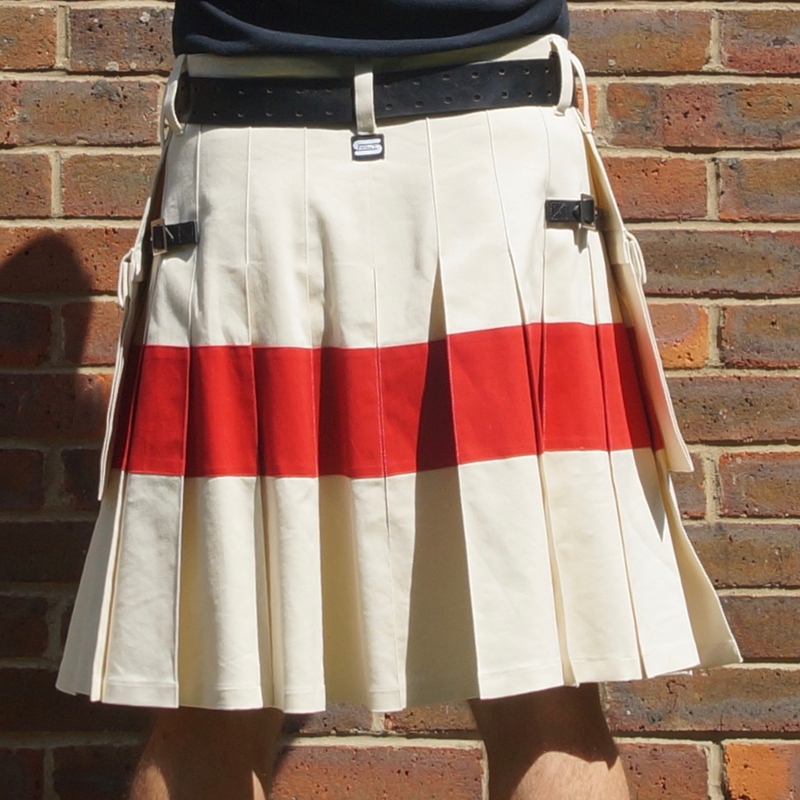 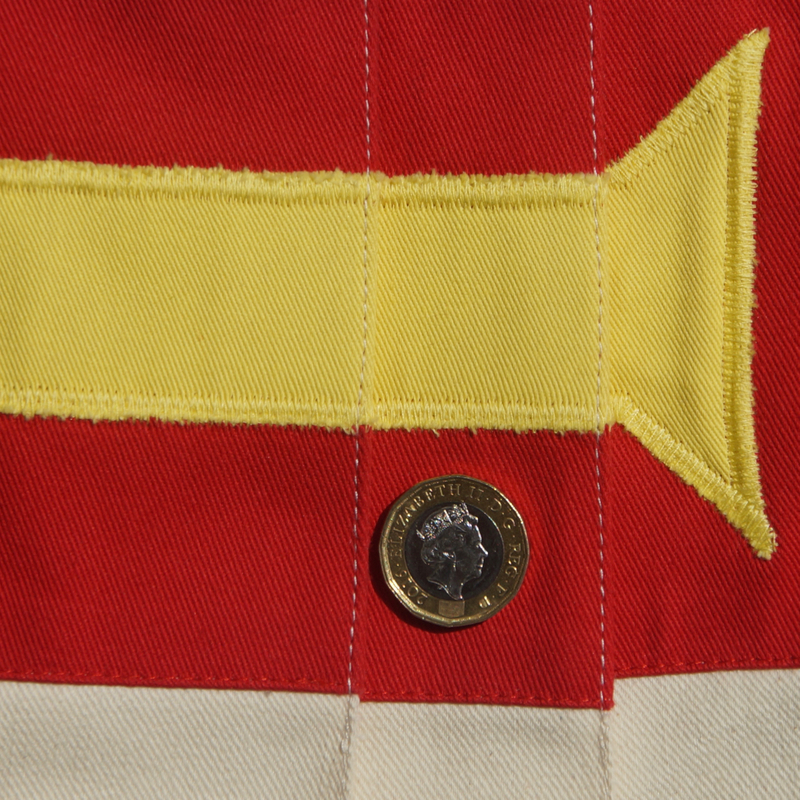 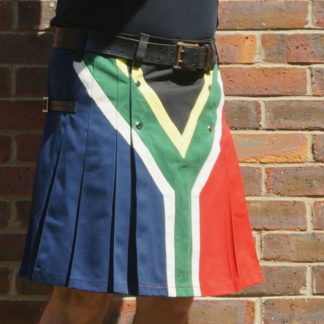 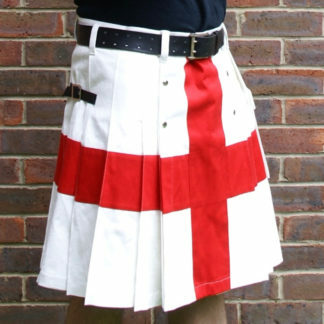 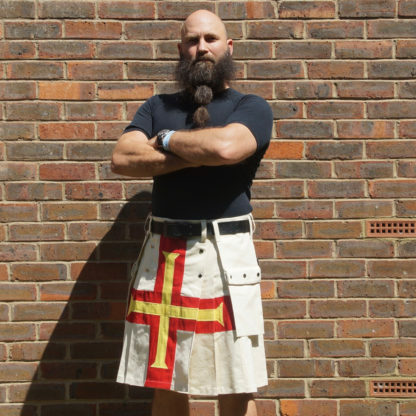 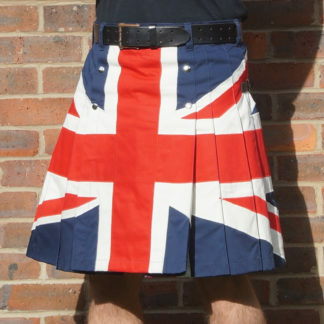 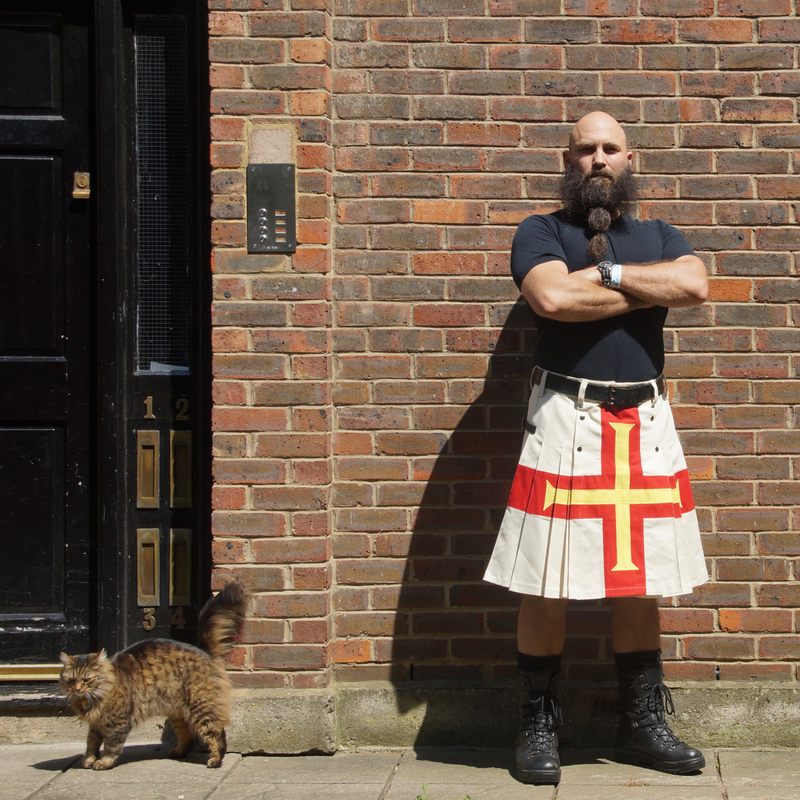 The kilt is made using hard wearing cotton drill and the applique cross is fixed in place with a tight zig zag stitch.